The Riga Gallery is representing RITUMS IVANOVS, LĪGA PURMALE, IEVA ILTNERE, FRANČESKA KIRKE, HENRIHS VORKALS and LEONARDS LAGANOVSKIS with 25 artworks. 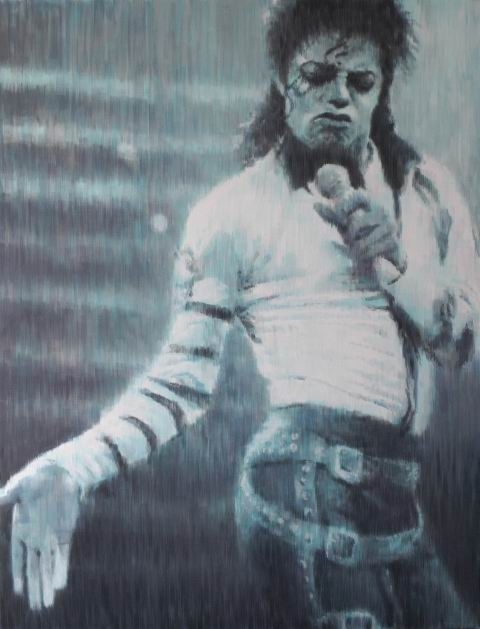 Among other works, Ritums Ivanovs will show his autumn 2009 newest paintings, including "Lights on Stars", a tribute to the late Michael Jackson (see above). Riga Gallery is participating at the prestigious International art fair ART MOSCOW for the 9th time. The art works are selected by an international and prominent jury. Among visitors of this exhibition there are directors of art museums, art curators, art critics, collectors and representative of the international press. This year the exhibition will be open simultaneously with the 3rd Moscow Biennale of Contemporary Art, which is the most important visual art exhibition in Eastern Europe and Russia. Press conference - Wednesday 23rd September 2.00 p.m.